James and I have been talking about returning to New York City at some point for a while now. We last visited on our honeymoon back in 2010 and had a fantastic time. We’ve also since acquired a rather expensive immersive theatre habit and really wanted to see Sleep No More before it closes (I’m guessing later this year). We’d seen Punchdrunk’s London show, The Drowned Man 4 and 5 times over the course of a year, and knew that a similar show, based on Macbeth, would be well worth the trip. So James booked the flights for my birthday and tickets to see it twice in that week. And then we heard about the immersive show Then She Fell (set in a disused hospital in Brooklyn, based on the works of Lewis Carroll, and limited to 15 audience members per showing), so booked that, too. And then ended up seeing Sleep No More for a third time directly after the second showing. 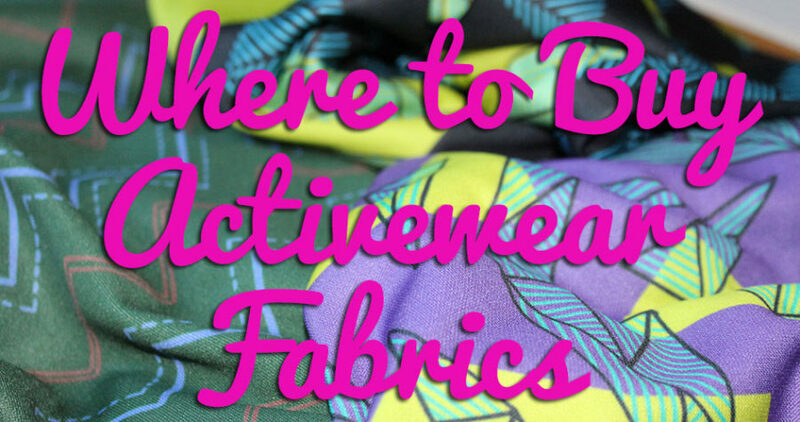 Because it’s that good. Frankly, it’s two weeks later and I’m still kinda living in a dream world in the fictional McKittrick Hotel. Snippets of songs get stuck in my head, people say things that trigger a memory from the show, I look down and see a drip of fake blood on my shoe from one of the scenes… that sort of thing. I honestly cannot recommend either show enough. So, so worth the money. But this isn’t a site about immersive theatre, nor is it about the excessive amount of cocktails and brunch we consumed, nor the sleep we didn’t get, or the great quality time we got to spend with my cousin in Brooklyn or the many friends who’d moved back there. 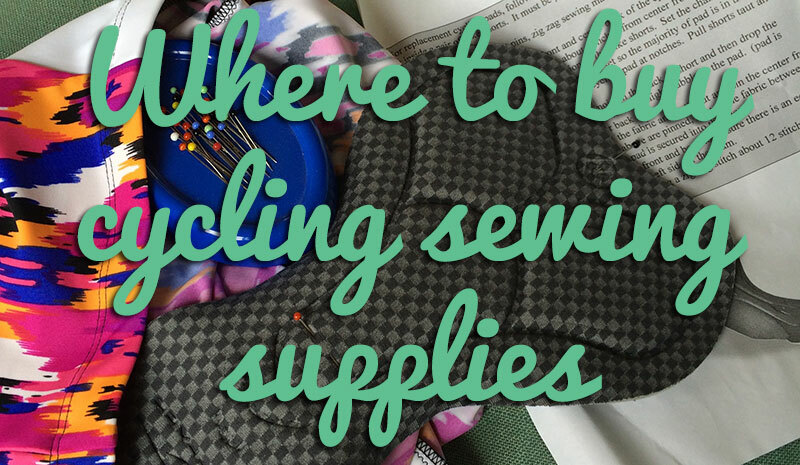 So I’ll stick to the sewing-related highlights or we’ll be here all day! 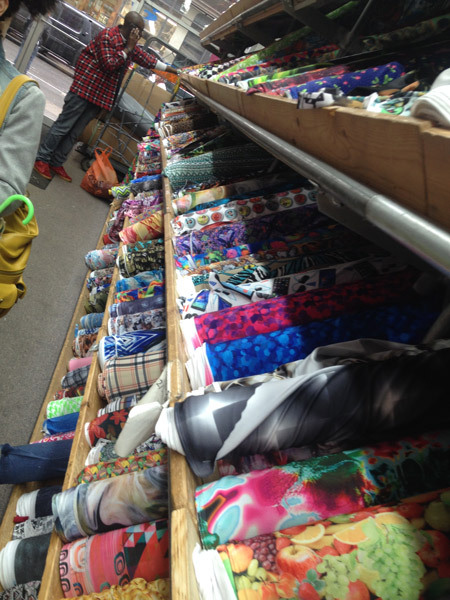 Of course I couldn’t go to New York and not visit the Garment District, but my fabric stash is looking pretty healthy these days and I didn’t really have an entire day to kill wandering around. So I enlisted the help of some professionals! Oona and Ginger were my fantastic tour guides through Mood, Spandex House, and the myriad little haberdashery shops in the Garment District, but also in choosing a man creche (err, bar) with great cocktails! 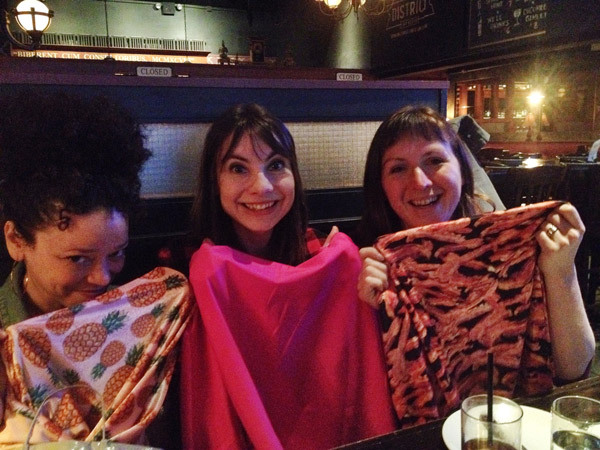 Here we are each holding up our most obnoxious Spandex House purchases. Yes, mine has bacon all over it. 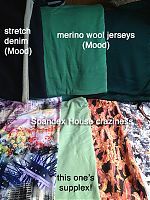 We made a tactical assault through Mood, mostly hitting up the wool jerseys to get some luuuuuuuuscious merinos, but also because I wanted some super stretchy denim to make more leggings. Then they introduced me to Spandex House, which, on top of having literally anything you could image printed onto lycra, also have a sizeable stash of wicking supplexes in great colours upstairs for $12/yd. 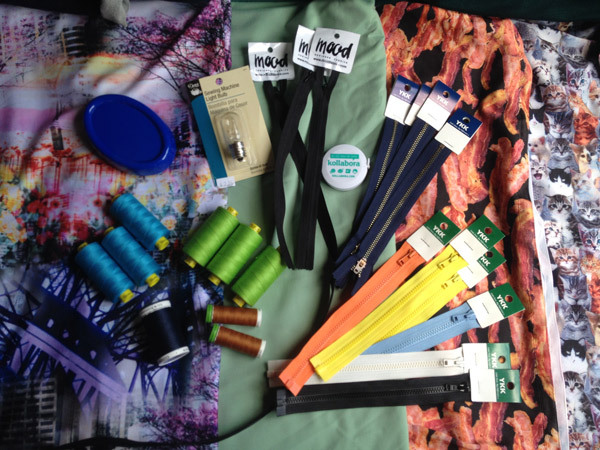 I also had a shopping list of various threads and zippers (zippers are so freaking cheap in America it makes me cry!! ), and then I also picked up a magnetic pin catcher since it was half the UK price, and a light bulb for my US-import sewing machine. Which ended up being the wrong type. Sad face. 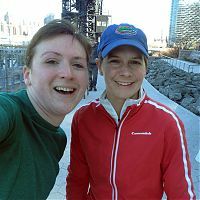 It was so, so nice to finally meet up with Oona and Ginger, and I love that just sharing a common hobby means we can instantly connect without any kind of initial akwardness, and the same was true when I met up with Carrie for a Sunday run through Brooklyn! 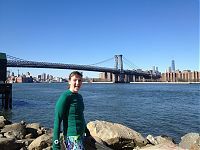 We started in Chinatown, crossing the Williamsburg Bridge into Brooklyn, where she led me along the waterfront to some amazing views! It was pretty crazy windy and cold along the water, but totally worth it, as she was an expert tour guide in amoungst all our general chatting. We carried on up through Brooklyn, across the bridge into Queens, and then we parted for a final selfie before I carried on over the Queensboro Bridge and then back down 1st Avenue (past the United Nations building!) to my brunch date in the Lower East Side. In total, I ran for about 2hr15min and through three boroughs and across three (very steep!) bridges, too. So not too shabby considering I’m running London marathon in a few weeks. I also just managed to squeeze in a visit with Nora from Kollabora just before we left, too, which is always a pleasure. I’ve known Nora back from her days before the US BurdaStyle site was starting up, and whenever we’re together it always feels like no time has passed at all. 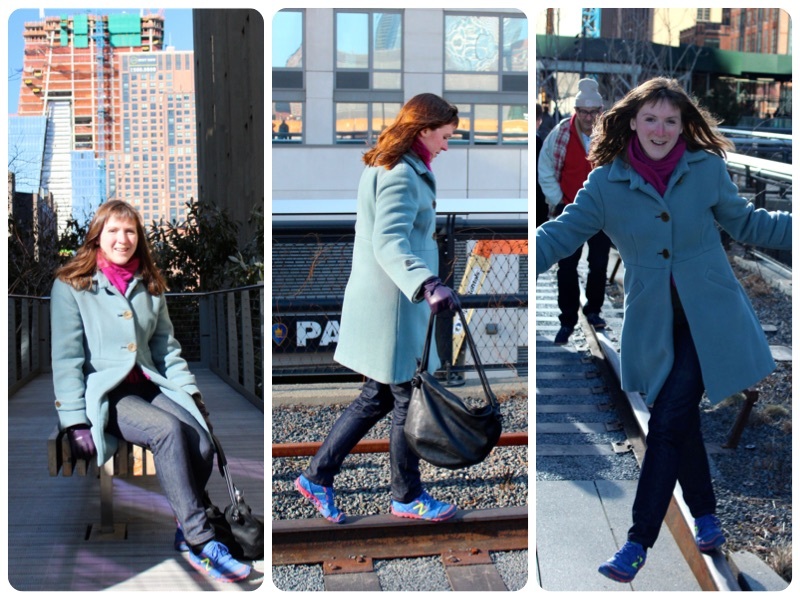 And, as a parting glimpse, here’s some final shots of me on the High Line with my newest birthday jeans and my Patrones winter coat, made in 2011 and still going strong! It was so cold and wintry the whole time we were there that both saw very active duty. 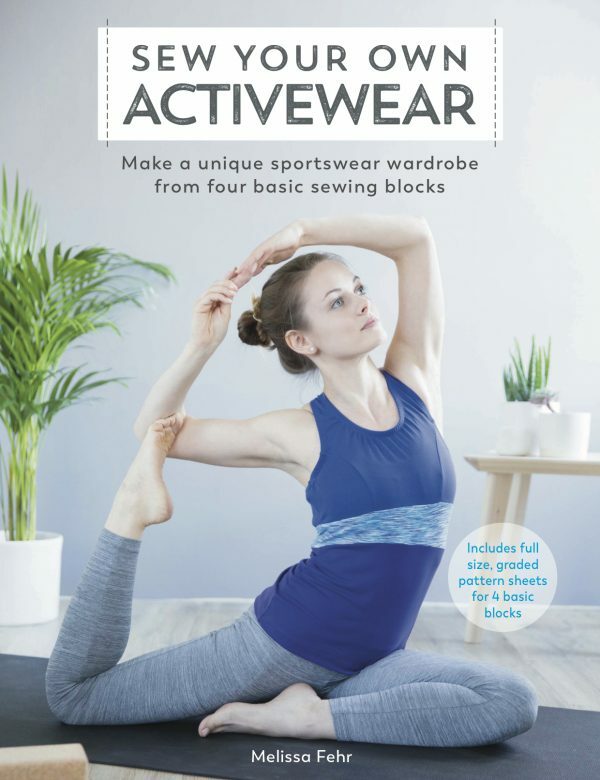 But I’m not sad at all that we returned to Springtime in London, as I’m more than ready to sew and wear some lighter-weight styles! But yes. Go see Sleep No More. At least twice. Separator image Posted in Inspiration and tagged with city-guides, exercise, reflections, shopping. 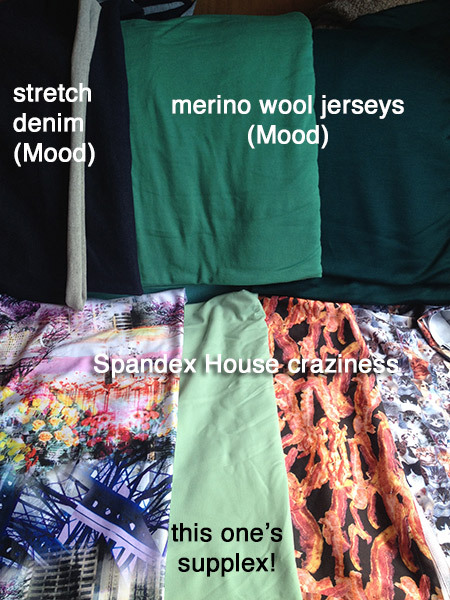 Steeplechase Leggings – crazy printed pairs!